When I speak about how to blog a book, I always stress the importance of choosing a topic carefully. The audience tends to look at me like I think they are idiots. Of course, they are well aware that if you are going to blog a book–or write a book, for that matter–you must choose your topic carefully. But there’s more to my caution than that. When you blog a book, you can’t simply stop blogging about the topic when you are done. Well, you can…but then the traffic to your blog–your potential book buyers–will taper off just as fast as that last word of your book. So, you really have to pick a topic you want to blog about for a long time. You must pick a topic you want to blog about long after you finish blogging (writing) the book. In actuality, this is not much different than picking a topic for a blog. Duh. 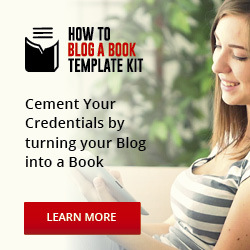 After all, when you blog a book, you are choosing to blog and to become a blogger. Thus, you must choose your topic in the same manner. You must choose one you feel passionate enough about to continue blogging about for a long time to come. All that said, this really isn’t any different for any aspiring author or published author. 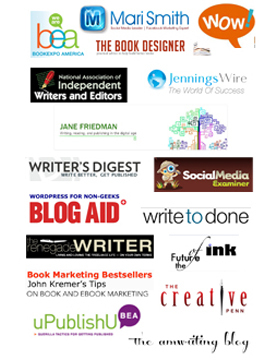 The best way to promote a book and to build author platform these days is via a blog. 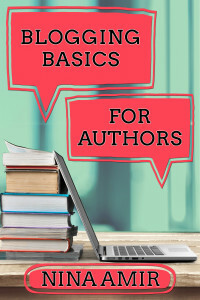 If you write a book off line and publish it, you’ll still need to blog about the subject of your book before and after that book is released. So, choose your topic carefully. You’ll be writing about it for a long time to come. Why am I writing about this today? This month I devoted this blog to my blog-to-book journey. It’s the last day of the month. I’ve come to the end of that journey, but my blog continues on…and on. I am no longer blogging a book about how to blog a book. 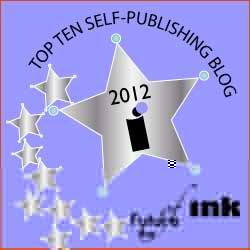 But I am still blogging about how to to blog a book. I’m also blogging about anything and everything related to blogging a book. That’s the point. 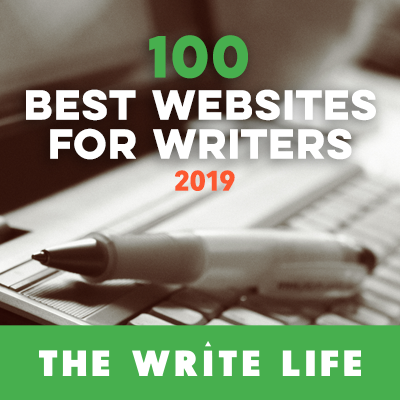 You need to have a long-term plan for your blog–one that doesn’t include blogging a book but that does include blogging about the subject of your blogged book. I did slack off on this blog briefly after I finished the manuscript. My readership slacked off a bit, too. Then it grew organically on its own. The subject matter seemed to become more interesting to people. The blog was getting found without me writing as often. (I was posting a few times a month instead of a few times a week.) But readership wasn’t growing as fast as it needed to for me to attract a publisher. I needed to keep blogging consistently and often. So I began again. With the manuscript completed, I created a new content plan for the blog. And as I posted on a new schedule–just twice a week, my readership began to grow faster. And so did my renewed interest. You can sell these products off your blog. I discussed a business plan way back when I started blogging How to Blog a Book. Planning out content is part of that business plan, especially if your book is complete like mine. 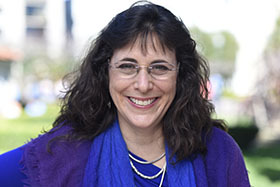 The next 4-part “Blog Your Way to a Book Deal” teleclass begins next Tuesday, March 7! Save $30 on the registration fee by pre-ordering the book on Amazon.com. For more information, please click here. Nina, I found your blog relatively recently. Do you care to share how Writer’s Digest Books became your publisher? I found your blog relatively recently. 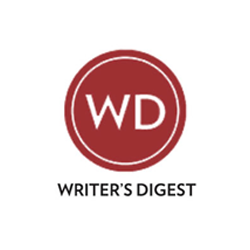 Do you care to share how Writer’s Digest Books became your publisher? 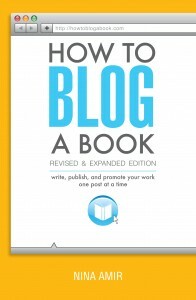 All the information is here: https://howtoblogabook.com/the-book/ Thanks for asking! Something about your email or name or something keeps dropping your comments into the spam folder. Anyway, most publishers shy away from short stories. They are hard to publish as a book. That said, many magazines love them. 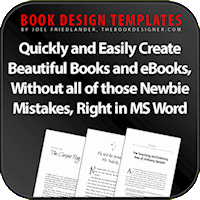 It’s easy to self-publish them using Amazon’s Kindle services or Smashwords. 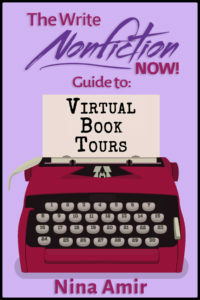 Go on over to my other blog, http://www.writenonfictionnow.com or http://www.writenonfictioninnovember.com, and you’ll find info on self-publishing. Good luck!